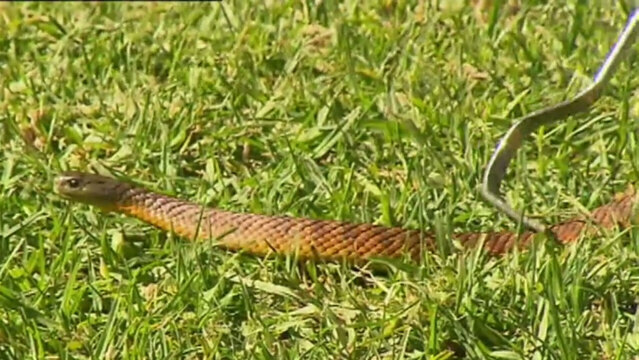 A spate of snake bites and sightings have signalled the start of snake season, and sparked warnings from experts. October and November is peak season as the weather warms up and the reptiles wake up - and begin searching for food and mates. it is a common misconception that snakes are more active in summer, said Melbourne-based snake catcher Raymond Hoser. He had 25 callouts alone yesterday in Victoria, where four people were bitten in 24 hours. One victim was a toddler, who was bitten on his leg in the north-west state of Sunbury. “Snakes are more active now, unless the weather is cold and raining,” said Mr Hoser. He added the amount of callouts received since the start the month was more than usual. “This month has been busier than normal… and busier than what you’d expect from the weather,” he said. Mr Hoser said he always gave callers the same standard warning. “Don’t go near them or pick them,” he said warning many people wrongly identified snakes. According to Mr Hoser, the sharp increase in snake-catcher callouts isn’t caused by the weather, but due to increased demand. “There’s a shortage of snake catchers across the country,” he said. 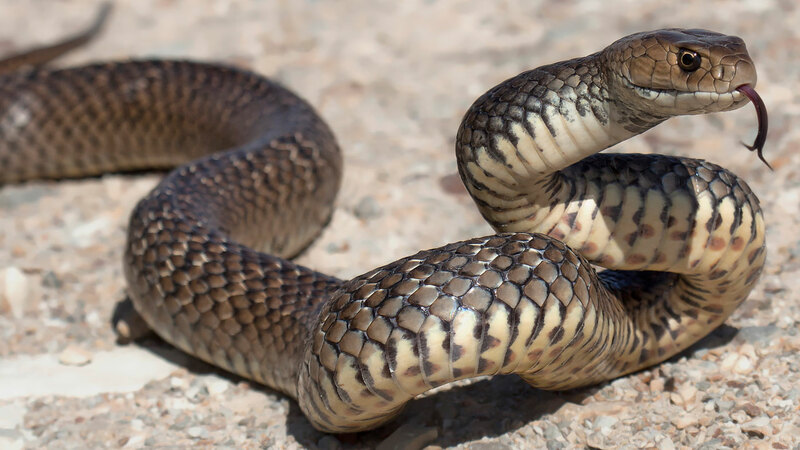 He believes increased media attention, councils agreeing to pay for snake removal on residential property, and OHS guidelines have led to more people wanting snakes removed. Despite the string of incidents, Mr Hoser says removing a snake isn’t always the answer. “For every snake seen, there’s another 10 in hiding,” he said. Snake catchers should only be called if they present an immediate threat to people or pets, such as when a snake is cornered, slides up in a car, or is in a populated area. “That’s the only reason [to call a catcher],” he said. To discourage snakes from entering your property, Mr Hoser said clearing away debris could help, but only if your neighbours do the same. However, he said they usually didn’t pose a threat. “Snakes never bite when they’re threatened, they run away,” he said. At the start of the month, Southern NSW Local Health District Director Public Health Tracey Oakman warned people to be aware of the dangerous reptiles. “Wear long pants and sturdy boots if walking in areas where snakes are present,” Mrs Oakman said in a statement. Mrs Oakman dispelled the myth venom could be sucked out of a puncture wound. “Tourniquets should not be applied, and the bite site should not be cut or sucked,” she said.